Category Archives for "Newsletter Archive"
Why is the weather such a popular topic in the UK? Because you don’t know what’s going to happen from one day to the next! Easter is less than a week away and parts of Britain are without power, roads are impassable due to snow drifts and you can’t cruise down the Llangollen canal because of fallen trees. Providing your boat is up to scratch though, the weather doesn’t really matter. However, It’s very important that you spend time, energy and money to ensure that it’s fit for all seasons. James wasn’t an acceptable winter home when I moved on board. It is now. There’s a cruel east wind blowing snow horizontally across the marina as I write this, but I’m just wearing a polo shirt as I sit and type. I’ve taken the time to understand how everything on board works. If anything on the boat didn’t work effectively, I had it changed. I’m useless at the practicalities myself but one of the many wonderful virtues of the boating community is the willingness to help fellow boaters. I’m never stuck for a helping hand or two. The importance of understanding your boat, how it works, and why sometimes it doesn’t, was brought home to me by the email I received last week. This new liveaboard boater clearly hasn’t spent any time trying to resolve what are probably fairly simple issues. “My partner and I moved onto our narrowboat in November. All the possessions we knew we wouldn’t need or be able to squeeze onto the boat were sold. The moving day came and we were so excited. Its been a serious shock to the system I can tell you. Don’t get me wrong, I love the boat, the people in our marina and the peace. What I don’t like is the rain! We have residential moorings in [removed to protect privacy] and the river and surrounding areas rise rapidly. When will it end? My dreams are steadily being shattered. Heating is a multi fuel stove which is fine for heating the living room and galley but as the bedroom is 55ft away it’s absolutely freezing! We can only figure out how to use the radiators when the engine is running. I’m sure it can be done just on the gas but I havent been able to understand the huge manual that comes with the Alde yet. The pump out toilet blocked with terrible consequences so a porta loo has to suffice now. The chimney had to be swept etc etc. Please tell me that this will get better. We want to live the dream. Please tell me this isn’t what every winter is like onboard. Surely the summer will make up for it?”. I imagine that the Alde simply isn’t lit. The radiators are being heated by the engine when it’s running but nothing’s heating them when the engine is switched off. Aldes are quite common heating systems. I imagine there will be fellow boaters or marina staff who can offer a quick solution to the problem, or at least confirm whether the Alde is working or not. If it’s not working it needs fixing. There’s no excuse here for remaining cold and uncomfortable on the boat. The pump out loo blockage is something else which should be fairly easy to resolve, rather than abandoning the system completely and switching to a Porta Potti. As for the chimney, sweeping the flu is a basic part of narrowboat maintenance. Living on a narrowboat is a great lifestyle but you need to put a little more effort in than you do on dry land and understand what you’re doing. That’s why I created this site, to help you understand the ins and outs of living your floating dream. An Apology For My Poor Speling! Last week I was careless. I thought I had run the spell checker before I published the newsletter. Clearly I didn’t. I had a friendly email pointing out the error of my ways and the fact that I had spelled residential three different ways. I’ll be more careful in future but if you do spot any errors, please let me know so that I can correct them. There are some bits of kit that you should have on board at all times; a pole, plank and boat hook, two or three mooring pins or chains, a lump hammer (some boaters prefer a sledge hammer for hard ground in the summer) and, to get you through the locks, a windlass or two. Windlasses have a habit of ending up in the water. They are kicked in after being left on the lock side or fly in after being left on the paddle. It’s a careless and expensive mistake to make, but what can you do once it’s in the water? You can use one of the essential tools in your boat’s emergency kit… a powerful magnet. The 2013 Equipment and Chandlery Guide in Waterways World’s April magazine features a super powerful magnet available for £26. It’s under two inches tall but is capable of lifting 50lb. You can use it to retrieve your windlasses, mooring pins, keys (most boaters have dropped a key or two into the cut), your prized folding bike and, if you’re feeling particularly public spirited, a shopping trolley or two. It’s called the Maxigrab Magnet and is available here. It’s the UK’s number one narrowboat show. Four days of live music and entertainment, a chance to meet thousands of fellow boaters and the opportunity to view the latest masterpieces from the leading narrowboat and widebeam builders in the industry. The New & Used Boat Company have set a record at Crick this year. They will have seven of their boats on display. This year the show is on from 25th – 27th May. I’ll be there on 27th. The last day of the show is my favourite day. It’s bargain day. Since January I’ve been compiling a list of none essential items tha t I need/want for James. I’ll be there on Monday 27th with my shopping list in one hand and my debit card in the other. Exhibitors don’t want to take stock home with them. If you wait until Monday afternoon, there are some marvelous savings to be made. Midland Chandlers usually have a large amount of stock at the show. There stand is the size of one of their stores. They don’t like to take anything back with them at all so on Monday afternoon they will consider all offers. It’s possible to get up to 40% discount on their list prices. Two weeks ago I mentioned that, after reading the Waterways World fuel test in the March edition of their magazine, I bought two sample bags of wood briquettes so that I could conduct my own tests on a real liveaboard narrowboat. One bag arrived within a few days but the second, the Ecofire Heat Logs only arrived this week after going missing in the post. Here’s what I thought of both fuels. Last week I offered site users some space on this site so that they could create a blog, a journal, of their own journey from narrowboat dream to actual ownership. Three narrowboat owners have taken me up on the offer so far. I’ve created a new section on the forum so that site visitors can read and comment on the blog posts. I’ve also included some information that may be of interest to you if you would like to start your own blog. I received an email from a site subscriber yesterday. He was responding to one of the regular series of emails I send out with the intention of (hopefully) pointing potential narrowboat owners in the right direction. He suggested that I needed to know more about the way that Whilton Marina boat sales operate before I recommend them as a potential source for their new boat. I’m not saying that the information he provided is accurate but, coincidentally, I was given the same information by a respected boat builder this week. In the spirit of providing you with as much information as possible so that you can make up your own mind, I have copied the email I received on the Whilton Marina page of this site. I’m also more than happy to include a response from anyone at Whilton. The Llangollen canal – Here’s a view that you’re never going to see from your narrowboat. Yippee! It’s grass cutting time again. On Wednesday last week I cut the site grass for the first time this year. It’s a sign that spring in on the way. The grass doesn’t start to grow in the new year until the weather warms up a bit. I know it’s been cold in the last week with a biting wind and the occasional snow flurry, but the bright sunshine with just a hint of heat has been enough to fool the grass. At this time of the year, I have to be careful where I cut. Snowdrops and daffodils are everywhere. It’s the first wave of floral colour at the marina. The first of many. Calcutt is a beautiful place to moor in the spring and early summer. We have three of the richest wildflower meadows in Warwickshire. In fact, they’re so rich in flowers and grasses that they have been designated SSSI (Site of Special Scientific Interest). I have the pleasure of spending my days riding around on a mower through them all. In a month or so, I’ll be riding through carpets of cowslips and daisies in the beautiful spring sunshine waiting for our resident swans’ babies to arrive. The signets usually hatch in early May. At the moment Mr. & Mrs. Swan are busy romancing each other. It’s beautiful to watch. Unfortunately, there’s a part of their mating that drives me mad. At this time of the year the cob (the male swan) is very territorial. He doesn’t want any competition on his turf which, as far as he’s concerned, is Calcutt’s Meadows marina. He tolerates the mallards, moorhens, coots and grebes, but he truly hates the Canada geese. So do I.
There’s nothing pleasant about Canada geese. They’re noisy, far too numerous and very, very dirty. 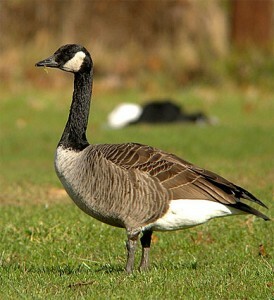 Each Canada goose eats about four pounds of grass every day. Three pounds of that comes out the other end to make walking along the towpath or riverbank where they congregate quite unpleasant. When I moved onto James, there were about a dozen resident geese. They were extremely noisy. Continuous honking during the day wasn’t a problem but they were exceptionally annoying at night. There were many nights when I lay awake for hours because of their incessant noise. A dozen geese were bad enough, but they enjoyed it so much they invited their friends. Two hundred of them. You can imagine the mess that two hundred Canada geese make with each of them dropping 3lb of waste every day. Each weeks they dropped two tons of faeces around the marina. I tried everything I could think of to get rid of them. I took our work boat, a 50′ narrowboat, for a spin around the marina to chase them off. They just swam out of the way and climbed onto the acre grass and tree covered island in the middle of the marina. I moored the boat on the island and ran like a lunatic through the trees to chase them off. They flew back onto the water. I surged around the marina again with the boat, so they climbed back onto the island. I climbed back onto the island, chased them off and then peppered them with windfall horse chestnuts. They didn’t mind. I walked around the marina at night, powerful torch in hand, trying to scare them off. I scared off the coots, mallards, moorhens and grebes, but not the geese. their natural predator, the coyote. These bird scarers were horribly expensive though so I didn’t try them. What I did buy from the internet cost me just £20 and worked instantly every time I used it. It’s breeding season and our resident cob likes to chase Canada geese all day and all night. 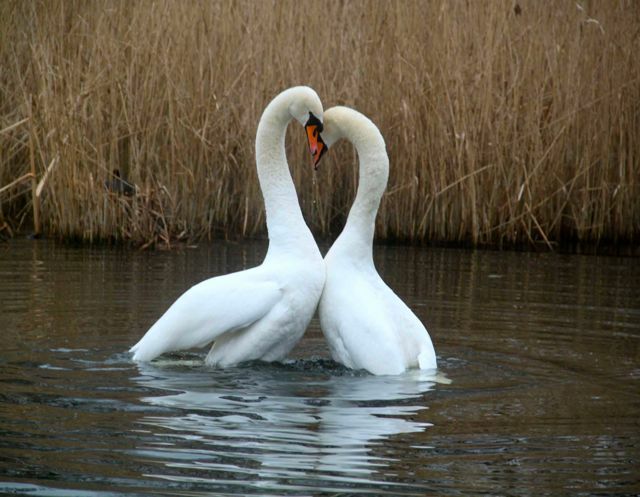 We have a breeding pair of swans. We also have a breeding pair of Canada geese. I don’t usually have a problem with geese these days, but during the breeding season the breeding pair of geese return to do battle with the cob and with me. Last night I head the geese’s none stop honking at 2am as the cob chased them. I dressed in warm clothes – it was minus four – grabbed my torch and my secret weapon, and took the dogs for an unexpected but very welcome night time walk. I used the torch to identify the geese and fired my weapon at them. My ever so effective geese scarer is a military grade green laser. I’m not sure why it works on the geese and not on the other water fowl, but it works incredibly well and what’s more, it doesn’t harm them. One quick flash, an instant collective panicky honking and they all take to the skies. Let’s get this straight. Living on a narrowboat comfortably is not a low cost alternative to a bricks and mortar home. The cost is comparable to living in a three bed semi when you take all of the costs into consideration. If you’re thinking of moving onto a narrowboat just because you can’t afford to get onto the property ladder, don’t do it. Living on a narrowboat is a lifestyle choice, and a wonderful one at that, but it isn’t cheap. Not so long ago, we had a narrowboat for sale here at Caluctt which could have been turned into an acceptable home if a huge amount of time and money was spent on it. The boat was in a terrible state; the engine needed a major overhaul, the inside was damp and mouldy and the roof leaked. Surprisingly, it was sold within a month of coming to us. The three male purchasers had clubbed together to find the modest asking price. They were quite honest about their intentions. They were going to move on board immediately and use the boat as a floating home “somewhere in Birmingham”. They didn’t have any money for the license, for moorings or for repairs and maintenance. I’m fairly sure that this tired old boat will end up illegally moored, unlicensed and unloved along the towpath somewhere in England’s second city. The boat will undoubtably cost them less to “maintain” than a home on dry land but their lifestyle won’t be legal, pleasant or comfortable. Maintaining a narrowboat properly isn’t cheap. A narrowboat’s steel exterior needs protecting from the elements. The hull needs painting every three years, the cabin every 7 – 10 years. Even if you’re not going to do much (or any) cruising, the engine needs maintaining so that you can run it daily to charge your batteries. Your batteries will need replacing every 3 – 5 years and your canopies on your front and/or rear decks will need renewing periodically. Keeping your boat warm is no cheaper than keeping your house warm. Most narrowboats have heating provided by solid fuel stoves, diesel or gas central heating systems, or a combination of both. Contrary to popular opinion, you can’t easily heat your boat for free using wood that you find on your travels. Unless logs are seasoned (left to dry) for a minimum of six months under cover, they use as much energy evaporating the moisture they still hold as they do producing heat. You simply don’t have the space inside your narrowboat to store enough wood. Before you spend any more time or energy on your narrowboat plans, you need to be absolutely certain that you fully understand the cost of maintaining your dream home. To give you a head start, I’ve written a post detailing the exact expenses I incurred on my own boat during February 2013.
residential moorings are hard to find. You’ll probably spend as much time looking for a mooring, especially a residential mooring, as you will looking for a narrowboat. Very few marinas have official residential moorings but some unofficially allow liveaboards. I was told today that Mercia marina “has no problem with liveaboards” although their web site doesn’t give any indication that they offer official residential moorings. The majority of residential moorings on the canal network are linear moorings along the canal, usually on the “offside” on the opposite side from the towpath. You’ll have to do a bit of work to find available online moorings. You’ll see them sometimes advertised in the waterways magazines, and sometimes advertised here on Apolloduck. You need to sort the wheat from the chaff or, in this case, the coastal from the inland moorings, but there are some interesting ones there. Last week, I introduced an idea I had to help potential narrowboat owners decipher the terminology they’re faced with when they through a narrowboat’s advert. I though it was a good idea, but there aren’t many site visitors who agree. I asked readers of last week’s newsletter to let me know if they thought the idea would help them. Only 0.5% of newsletter recipients completed the two question survey so, at the moment, I’m not going to spend any more time creating the service. I’ve copied the introduction to the idea below as well as the link to the survey. If you are seriously thinking about buying a narrowboat, please just take a minute to cast your vote. I’m thinking about adding a new section to the forum. If you’re a potential narrowboat owner and you’ve reached the stage where you’re seriously looking at boats for sale, you can use this section to introduce yourself and let other site users know what you want to use your boat for. You can say whether you want to use your boat for limited recreational cruising or as a full time home on either a static mooring or for continually cruising the network. You can provide a link to the boat advert you’re interested in and ask current boat owners to offer the benefit of their experience. There are hundreds of boat owners are now registered on the site. Some of them are very active on the forum. I will add observations about the boat for sale based on the information provided in the advert. I will ask other boat owning forum members to do the same. By reading the response to both your own posts and posts by other soon-to-be boat owners, you’ll be able to build up a pretty good knowledge of the terminology and the specifications to look for in a narrowboat advert. What do you think? Is it a feature that you think you would use? I’m more than happy to set it up if there are enough people interested. It’s up to you to let me know one way or the other. I’ve created a very quick two question survey here. It will take you less than a minute to cast your vote. If you’re a regular visitor to this site, you’ve probably read about my transition from bricks and mortar to steel and water and the challenges I’ve faced since I moved on board. Although the story of my life afloat will have given you some idea of life in a floating home, I feel that this site could offer a far more comprehensive and rounded view of the liveaboard lifestyle. I moor in a marina. I’m very lucky. Everything I need is close at hand. I have an unlimited water supply (which is never frozen) and access to 230v electrickery on the pier. I can buy coal and gas at reception whenever I need it, and transport it easily to the boat. I have a choice of two Elsan points where I can empty my cassette, and a choice of two manned pump outs if I had a pump out toilet. I’m very lucky to be able to moor here because most marinas don’t allow liveaboards. They aren’t allowed here either. I’m only allowed to live on board because I work here. Your situation will almost certainly be different. You’ll either have to consider the life of a continuous cruiser, find a canal or riverside residential mooring or, heaven forbid, take your chances on the canal without an official mooring. I want this site to reflect all aspects of liveaboard life, so I’ve had an idea. If you are in the process of selling your worldly goods and investing the proceeds in a narrowboat, I would like to offer you your own blog on this site. You’ll have your blog address, something like http://livingonanarrowboat.co.uk/NBWillow and a ready made audience to read what you’ve written. This site is currently number five in the waterways site rankings and enjoys in excess of 7,000 weekly visits. Please let me know if you’re interested. All that I ask is that you can write reasonably well and that you’re committed to your dream of owning and maybe living on your narrowboat. I particularly want to hear from you if you’re going to be a continuous cruiser. I don’t get the chance to cruise very often because I still need to work. I want this site to include content from boat owners as they cruise the length and breadth of our wonderful canal network, complete with the adventures they’ve had along the way. Please email me if you’re interested. Nothing’s ever as easy or straightforward as it should be. It’s so frustrating. I’ve just had a Sterling Pure Sine Wave 1600w inverter fitted. It’s more than enough to run the smaller electrical appliances I have on board. It will run my laptop, iPad, two mobile phones and the television. I could switch to a 12v television but as the one I have is perfectly serviceable and is fixed to the wall using a bracket designed for that particular television, I’m not going to change it. The inverter will also run a small vacuum cleaner if necessary. While the inverter is perfect for what I want, unfortunately the mains wiring I have in James is not. It needs replacing before the next BSS test if James is to pass. Added to the rewiring headache, I also need to get part of the original floor boards replaced. On Thursday we had a local flooring company arrive to remove the existing carpet and replace it with imitation light oak plastic planks. They don’t sound very attractive the way I’ve described them, but they look great and what’s more, they’re practical. They’re easy to clean and they’re waterproof. The proper name is Colonia English Oak. All of the original ply flooring appears to be in very good shape considering the age of the boat and considering that it spent over a decade neglected on a mooring. but a section of flooring has suffered from the neglect. In the centre of the boat, aft of the galley there are side and roof hatches on both port and starboard. James originally had a wooden cabin with wooden hatches. The roof hatches perished during the decade of neglect and allowed water to drip onto the ply beneath. There’s a section about two feet square which needs replacing. Of course, the replacement isn’t straightforward. 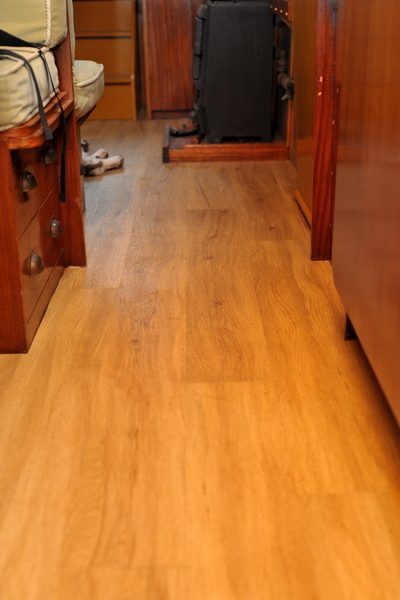 When James was built, as with all boats, the flooring was laid before the fitted furniture in the cabin. Full eight by four feet ply sheets were fitted in place over the boat’s bearers. The section that’s damaged is between two bearers so if the section is cut out, there’s nothing to support the new piece. The solution is to fit a new section of ply over the damaged part and secure it to the surrounding undamaged ply. 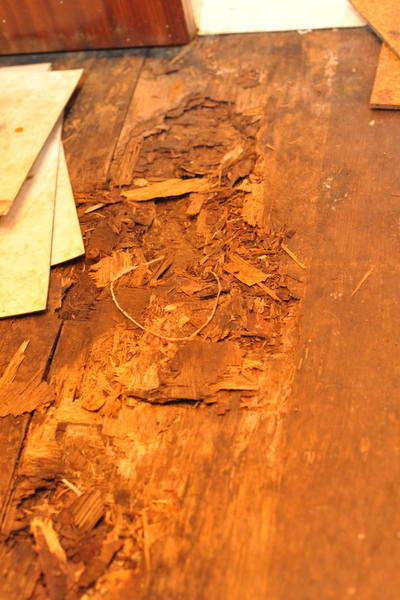 This repair will of course raise the level of the flooring by the thickness of the new ply. It’s not going to be a quick job to ensure that the repair doesn’t stand out like a sore thumb. It’s a job for another day. In the meantime, Mark from Floors 4 Less has laid all the flooring apart from this one small area. He’ll come back to fit the small section once the remedial work has been done. He’s done a wonderful job and has justified his £250 fitting fee for a full day’s work. He was with us from 8.30am until 6.00pm and worked none stop throughout the day. We are very pleased with the work and at £640 including the fitting, it’s not a bad price. Just to make sure that we didn’t have any peace and quiet on Friday, we also arranged for Tim Davis from Onboard Solar to fit his ever so popular 300w solar panel system for us. Tim has been professionally fitting solar panels on narrowboats now for just over a year. He did a huge amount of research before deciding on the configuration he uses now. His services have proven very popular. He’s fitted 150 systems so far with more and more orders coming in every day, and for very good reason. They work extremely well. If you’re considering spending long periods away from a static mooring, solar panels offer you enormous benefits. We don’t live in the sunniest place in the world but, with recent technological advances, solar panels can provide you with free electricity even on dull winter days. Solar panels allow you to moor in a spot that takes your fancy for a few days without having to run your engine to top up your batteries. They should save me a fortune on marina electricity charges as I currently pay 20p a unit when I have my shoreline plugged in. I had high expectations of Tim, and I’m delighted to say that he was a real pleasure to work with. 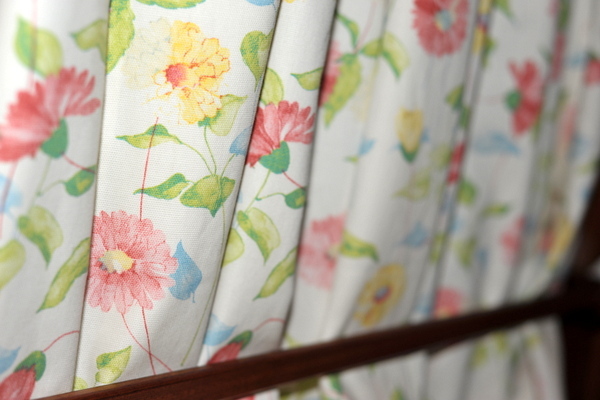 In an industry where shoddy workmanship and poor standards are all too common, Tim provided an excellent service. He phoned me on Thursday to tell me that he was coming and at what time. He arrived on time, was polite and ever so friendly, worked exceptionally hard and fitted three 100w solar panels and the associated electrics in about three hours. And that included getting the wiring from the roof, through two cabins and into the engine room. James’ original cabin has been overplated with steel, so Tim had to drill though the steel, through the two inch polystyrene filled gap, through the original wooden cabin and into the engine room. There was a little good humoured muttering as he threaded the wiring through the cabin tops, but it didn’t take him long. The solar panels are now installed and look quite attractive on the boat roof, but they’re not there to look pretty. They’re there to provide me with free power courtesy of the sun. How are they doing? It’s early days yet but the signs are very good. I haven’t seen any sunshine since Tim installed them. On Friday the weather was about as dull as it’s possible to get with thick cloud and fog. However, the panels still produced something. 1.6 amps is better than nothing. Today, there’s still no sun but the day is brighter than when Tim was here. I’ve just checked and I’m getting 3.2 amps. Actually, I’ve just been outside and tilted the panels into where the sun would be if it was out, and now I’m getting 4.7 amps. It’s enough to power my fridge. Yippee! While he was with me, Tim also reconnected the rev counter and the engine temperature gauges that are set into the pigeon box just in front of Tim in the photo. They were disconnected when the pigeon box was removed during the cabin overplating. Unfortunately the wiring wasn’t labelled when it was disconnected so Tim had to spend some time experimenting. He cracked it in the end though. I knew he would. I also took advantage of Tim’s mechanical knowledge while he was here. I have a problem with my engine or rather, with my gearbox. When the boat’s moving the propeller is turning intermittently. One possible cause is low oil in the gearbox. I know it’s not that though because I’ve recently had it topped up. Tim thinks that it is the gearbox clutch plate. He told me that if it’s the clutch plate that’s the problem, the symptoms will probably disappear when the engine warms up. I tried it. He’s right. All I need to do now is get a reconditioned gearbox fitted. Remember the B.O.A.T. acronym? Bet On Another Thousand. Don’t you just love boating? I’ve had an idea. I hope you like it. I regularly receive emails from potential boat owners. They’ve done their research. They’ve trawled the internet looking for information, subscribed to canal magazines and bought books. They’re ready to start looking at boats for sale in earnest… and they’re confused. There are over 1,000 narrowboats for sale at any one time. Most of them are advertised somewhere on the internet, often on the excellent Apolloduck site. The prices range from less than £10,000 to well over £100,000. You can buy a boat that’s so new that the paint’s barely dry or one that’s so old that the paint is all that’s holding it together. There are boats with bedrooms at the front, bedrooms at the back and no bedroom at all, boats with cruiser, semi trad or trad sterns, boats with vintage engines or modern engines, boats with fitted furniture, free standing furniture or no furniture at all. There are even empty boats that you can finish yourself. As I said, I’ve had an idea. Here it is. Since last week’s newsletter and the article about stove fuel, a number of site users have emailed me with additional information. I’ve created a dedicated post for the stove fuel test and additional comments. You can read it here. Historically “bridge hopping” – the practice of constantly moving a liveaboard narrowboat backwards and forwards between two points in the same area – has been largely ignored by the authorities. It’s against the rules but British Waterways didn’t have the resources, or the inclination, to tackle the problem. Continuous cruisers don’t have to pay for a home mooring. As many moorings, even none residential moorings, cost in excess of £2,000p.a. it’s quite a saving but continuous cruisers have an obligation to cruise continually. They must move their boat, as part of a progressive journey, every fourteen days. Bogus continuous cruisers often over extend their stay on short term visitor moorings, on water points and on the bollards reserved for boaters entering and leaving locks. We had one very annoying example at Calcutt last week. A “continuous cruiser”, complete with a roof overflowing with coal, logs, planters full of weeds, bikes and a wheelbarrow, chained and padlocked his boat to one of the bollards at the entrance to Calcutt Bottom Lock. (He clearly wasn’t the brightest of buttons. The chain was secured by a heavy duty padlock to the bollard at one end, but simply tied on to the boat with a rope at the other end). His boat prevented easy access to the lock for five days. His attitude demonstrated a complete disregard for other boaters. The Trust recognises that it’s a nuisance caused by a minority group of boaters which causes problems for the majority of law abiding boat owners. They are taking steps to tackle the problem. Here’s the latest information from Damien Kemp in the Trust’s latest edition of the Boaters’ Update, and here’s the Trust’s interpretation of BW’s Continuous Cruising rules. It may be the beginning of March and ever so close to the start of much needed warmer spring weather, but my stove is still in use twenty four hours a day. I use Pureheat, compressed coal briquettes. It burns well, produces plenty of heat and stays alight overnight, but it’s messy. Very messy. It drives Sally mad. No matter how often she races around the boat with a duster (and she races around the boat with a duster very often), there’s a new layer of dust, often within hours. It’s coal dust and the price we have to pay for using very convenient coal briquettes. Because of the constant dust, and because we often get bags of coal with holes in them which let the water in, soak the coal and form an oil coloured liquid in the bottom of the bag which inevitably end up on the carpet, I am always looking for a better alternative. Waterways World have tested stove fuel this month. It’s fascinating reading if your boat’s main heat source is going to be a solid fuel stove. They tested coal briquettes, wood briquettes, wood, straw logs, newspaper logs and peat. The testers recorded stove heat, room heat and the volume of ash and unburned fuel for each of the products tested. Of all the fuel coal briquettes produced the most ash and unburned fuel. “No surprise there!”, said Sally waving her duster around for the umpteenth time that day. The four wood briquettes tested produced just 8% – 11% of the volume of ash – and possibly dust – produced by the coal. Of course, the heat produced by the fuel is the most important factor and the wood briquettes scored well there too. They actually produced slightly more room heat than coal. Many boaters burn wood in their stoves. The clinical tests proved what I have suspected for a long time. Even though wood can be sourced for free as you cruise the network, it’s just not practical to use it. Wood, with the exception of ash, can’t be used immediately. It needs to be stored under cover for at least six months so that it can dry out. If the wood you burn isn’t dry, much of the energy produced during burning is used to evaporate the water in the wood rather than producing heat. If you live on your boat you probably don’t have anywhere to store your wood to dry it out. You certainly don’t have the space inside your boat and, unless you have a permanent mooring with dry canalside storage, you don’t have the space outside either. You’ll see many liveaboard narrowboats with logs stored on the boat’s roof. It’s not going to dry there, so it’s not going to burn very well. The Waterways World testers used wood that had been seasoned for over a year. Even then, the results weren’t very impressive. Seasoned wood only produced about 60% of the heat produced by either coal or wood briquettes. Peat and newspaper logs didn’t fare very well at all. Peat is difficult to light and doesn’t produce much heat. Newspaper logs may be free to produce yourself once you’ve bought an inexpensive log maker, but they are time consuming and messy to make, leave a lot of unburned ash/fuel and don’t produce much heat. The best fuel on test appeared to be wood briquettes. As the dust created by our coal use drives Sally mad, I thought I would run my own test to see how the briquettes fare in real life. I’ve ordered two 10kg sample bags from firewoodandlogs.co.uk; one bag of Ecofire high density heat logs and one of their Ecofire oak nuggets. Each 10kg sample bag costs £15 including delivery. There are a number of factors that will determine whether we switch to heat logs full time. One of them is the cost. The high density heat logs are available singly at £3.99 each, in packs of fifty for £183.75 (£3.68 each) and in packs of 100 for £364.09 ( £3.64 each). The fuel that I use at the moment, Pureheat in 25kg bags, costs me £10.78 a bag. The cost of the heat logs for the same weight fuel is £9.98, £9.10 and £8.27. The heat logs work of cheaper than my current Pureheat, but it’s not the only consideration. The option I would prefer is the 50 bags at £3.64 each. Where can I store them? I buy Pureheat ten at a time. I store them on the walkway next to the boat. Although the coal is stored in plastic bags to keep them dry, sometimes the bags have holes in them. Wet coal is messy to handle but the fuel still lights easily enough. Heat logs are an entirely different matter. I use softwood heat logs at the moment. I don’t use them often so a pack of ten kept in a cupboard is enough to provide a quick burst of heat if the boat is cold when I get up in the morning. They’re softwood so they’re not particularly good but they work very well if they’re kept dry. However if they come into contact with water they act like a sponge, expand to twice their size and prove very difficult to light. Heat logs need to be kept completely dry. Fortunately Sally and I have a storage unit, a twenty foot container, a couple of miles from the boat. We can keep it there and bring two or three bags back to the boat as and when we need it. Storing the bags next to the boat wouldn’t work. Any holes in the bags would render the logs unusable. I considered buying a sample bag of one of the other heat logs on test, Easy Logs. Unfortunately the supplier, The Briquette Company, doesn’t want to do business with southern softies, or for anyone else outside their immediate area. They’re based in Preston and will only deliver less than 25 bags to the nearby postcodes. They’re expensive too. The equivalent of 25kg of logs cost £13.10 compared with £9.10 for the Ecofire logs that I’ve already ordered. I’m now waiting for my two sample bags of logs to be delivered. I placed the order yesterday. They emailed me almost immediately to tell me that they were out of stock (because of the WW article?) but would deliver them week commencing 4th March. I’ll let you know how I get on with them. My 10kg sample bag of Ecofire Oak Nuggets arrived yesterday. I’ve used them already. What a waste of money. Each oak nugget is slightly smaller than a tennis ball. The first time I used them, I made the mistake of filling the grate with about fifteen of them. The result was spectacular. I had a taste of what it must be like standing in the centre of the sun… on a particularly warm day. We had to throw the doors and windows wide open, remove the Ecofan off the stove top before it took off, and move to the other end of the boat until the heat died down… which took about half an hour. It was an intense, but short lived blast of heat and totally useless for providing a steady heat throughout the boat. On my next attempt I added just six nuggets to the stove. The heat was less intense, but still too much for comfort even with the fire damped down (by closing the vents). Half and hour later I had to add another half dozen, and so on throughout the day. Coal briquettes are so much easier and more practical to use. My stove is old and not particularly good. It’s certainly not a patch on the Morso Squirrel which, I’m told, will stay alight for more than 24 hours without any interference. Even so, my stove will stay alight without a problem overnight if I use coal. If I had to rely on the oak nuggets, the fire would last no more than a couple of hours unattended. The oak briquettes are absolutely useless for providing steady heat. They burn quickly and fiercely. In the Waterways World test there was very little ash or unburned fuel left in the stove at the end of the test. I agree. There was very little residue in my stove either, but what WW didn’t mention was the unburned fuel in the bag. I didn’t weigh it but I estimated that there was between 500g and 1kg of sawdust in the bottom of the bag which in addition to the ash in the stove was more waste than the coal briquettes produced in the test. I can’t think of any occasion on the boat when I would rather have a bag of Ecofire Oak Nuggets on the boat rather than my regular Pureheat. Coal might produce more dust, but it’s a far, far more reliable heat source. I’ve just been talking to a fellow liveaboard about the above fuel test. He told me a story demonstrating two very good points. I’ll share both with you. A few years ago, he had to go to Germany leaving his wife alone on the boat. While he was away, the carbon monoxide alarm went off and continued its shrieking all day. She put it under the mattress to deaden the sound and thought nothing more of it. Of course the alarm was making a racket because it had detected dangerously high levels of carbon monoxide inside the boat. Fortunately they weren’t high enough to incapacitate, or kill, his wife. When he returned to the boat, and recovered from shock at hearing what his wife had done to silence the carbon monoxide alarm, he used a torch to look down his chimney. Wood burning stove flues can suffer from a build up of tar. Coal burning stoves suffer from accumulated soot. He burns coal. I piece of biscuit hard soot had fallen from the flue wall accross the flue which restricted the air flow. It hadn’t caused enough of an obstruction to prevent the coal from burning, but it was enough cause the carbon monoxide to build up to an unacceptable level. Clean your flue regularly. You can by flue brushes at many chandlers, but you don’t need to. A slightly longer than flue length piece of chain will do the trick. Take your chimney off, drop one end of the chain down the flue, and give it a good rattle. Make sure the stove door is firmly closed before you do it though, or you’ll be cleaning your boat for a week! When I first moved onto James I couldn’t connect to the internet. I had bought a USB dongle to get me online. The instructions were simple. Plug the dongle into your laptop’s USB port, watch the dongle automatically install the required software, and click the Connect button that appears on the screen. In reality it wasn’t quite so easy. The dongle doesn’t work very well inside a steel box. I had to buy a USB extension lead so that I could hang the dongle out of the window before I could get a signal. I wrapped a plastic bag around it to protect the dongle from the rain. It looked very untidy. The setup is much neater now. I have run the extension cable through some nearby trunking and up through a vent where it is attached to the top of a four foot metal pole I have attached to the roof. Using the dongle alone, I could get a good internet connection for my laptop, but not for my Kindle, my Galaxy S2 (It’s now well and truly dead. I went for a swim with the phone. Neither the phone nor I enjoyed it. I recovered, the phone didn’t) or Sally’s iPhone or iPad. I bought an Edimax N150 wireless 3G compact router. It works perfectly. All of our devices are now fully connected. If you’re a Narrowbudget Gold user, here’s a comprehensive account of my expenses for January. Everything’s included. There’s a breakdown of my mooring fees, maintenance and repairs, general living costs and sundry expenses. I’ve listed every penny that I’ve had to spend to keep myself afloat in January. It’s the middle of February. Can you believe it? The snowdrops are out, the daffodils are poking their heads through the recently frozen ground and there’s just a hint of warmth in the sun (when it’s out). I always feel that the winter’s on its way out when I can find my boat without the aid of a torch when I finish work. I’ve reached that stage of the year now and it’s a great psychological boost. Before long, I’ll be sitting on the front deck for an hour or two after a hard day’s work. Not that I’m complaining about my work. I spent all day yesterday moving part of our hire fleet from the wharf, down through two locks and into the marina. The Trust are doing some long overdue maintenance work on Calcutt middle and bottom locks from 11th February to 1st March. Calcutt bottom lock is leaking so badly that more, often than not, mud flats are showing in the pound between the middle and the bottom lock. It’s not a problem for boats navigating the locks because the central channel is still quite deep, but it’s not very pleasant for boats using our temporary moorings there. So I spent my working day yesterday boating in the winter sunshine and shooting the breeze with fellow boaters at the locks. It’s not a bad way to earn a living! I’ve been told by someone who knows what he’s talking about that I haven’t been doing anyone any favours by sending you pretty newsletters complete with photographs and fancy formatting. He told me that many of the intended rescipients wouldn’t actually receive it because of server restrictions and bandwidth filters. I’ve taken his advice and put the newsletter on the site with just a simple link to it from here. For the last couple of months, I’ve been waffling on about transferring subscriber details from one part of the site to another, why I was doing it, and the confusion that it has cause to some of you when you tried to log in. You’ll be pleased to hear that I’ve done it now. I’ve also found out why some users weren’t automatically logged into the forum when they logged into the site. It’s a quick fix but you need to let me know if you’re one of them. Please read this post to ensure that you don’t have any further problems. Please note that your login details are at the bottom of this newsletter. The enhanced version of the narrowboat budgeting software, Narrowbudget Gold, includes workbook with all of my narrowboat expenditure for 2012. It’s a great way for you to find out the costs you’re likely to face if you’re new to boating. However, different liveaboard lifestyles mean different expenditure. I live and work at a marina. I don’t do much cruising at all and I’m very lucky to have both mains power and a water supply close to the boat. Also, because James isn’t totally self-sufficient with regard to electricity generation,and because I don’t have an on board central heating system, I have to rely on mains powered electrical heaters to supplement the solid fuel stove, which means that my electricity bills are quite high. In order to supply a more balanced view of narrowboat maintenance costs, I had added another workbook to Narrowbudget Gold. At the beginning of July last year, I published the case study of James and Debbie Ward on their cruiser stern narrowboat Lois Jane. At the beginning of 2102 James and Debbie decided to take a well earned gap year after two decades of hectic work. They won’t be going back to that lifestyle. They’re going to carry on cruising the network for as long as they can. James has kindly added a workbook to Narrowbudget Gold with details of all of his expenditure for last year. Many of his costs are quite similar to my own, but some of them are very different. By comparing these two data sets, you’ll get a very good idea of what your own narrowboat is likely to maintain. You can find out more about Narrowbudget here. (Please note that if you’ve already bought one of my guides, you should have received an email offering you a substantial discount). Living On A Narrowboat News 20th January 2013 If you’re thinking of buying a narrowboat, especially one to live on, you need to know how much the boat is likely to cost you to buy and to maintain. This useful guide details all the costs I’ve incurred during the two and a half years that I’ve lived on my own narrowboat. You’ll discover the hidden costs when you buy a narrowboat, mooring fees, utility costs, propulsion fuel costs, repair and maintenance expenses and much, much more. Download your copy here. Most of the time I really enjoy spending all of my working day outside. I haven’t been quite so happy over the last few days. On Friday we had 2-3 inches of snow. It was fun to drive on for the first hour or two before it compacted into a thin layer of lethal ice. The cruel east wind didn’t help either. I’m working on a project in our tip area at the moment. The tip was about of about an acre and was where we stored spare engines, engine parts, aggregate, timber and some old vehicles. We’re disposing of quite a lot of the stuff down there so we can reduce the tip area by about 50% and use the additional space for container storage for our moorers. The work involves using the site digger and dumper to move heavy items around and level the ground ready for the containers. Sitting on a frozen digger seat while exposed to the easterly wind isn’t very pleasant, but it’s such a pleasure to get back to the boat after a day’s work. The front of the boat incuding the saloon, dining and kitchen area is lovely and warm thanks to the coal fuelled stove. My “office”, about twenty feet back from the stove, is a little chilly. I need a small mains powered Dimplex greenhouse heater to keep the chill off when I’m working. Further away from the stove, the bathroom and bedroom are quite cold. The wind direction makes a big difference to the temperature in different parts of the boat. The boat is moored facing west so the prevailing south westerly scours the port side of the boat, finding every gap in the windows and side hatches. When the wind blows from the east, it hits the back of the boat and finds the gap between the rear hatch and the back doors. Consequently the engine room is freezing when the east wind blows, as is the bedroom just behind it. I’m not bothered though. We’re lovely and warm in bed with a four season duvet and additional blanket. Great news! Narrowbudget is now live. I’m really pleased with it. Software architect Phil Copper has done a marvellous job. If you have a website and you need it enhancing by someone who is skilled, professional and a pleasure to work with, Phil’s your man. You can contact him via a link on Narrowbudget’s introduction page. In case you’ve just subscribed to the site, or you’ve not had time to read the newsletters recently, Narrowbudget is a bespoke narrowboat expenses calculator. If you’re considering buying a narrowboat and aren’t sure what costs you’re likely to face, this application will really open your eyes. It’s been developed as a result of my own three years on a narrowboat, extensive research into general narrowboat running costs and feedback from numerous other liveaboards. The image on the left is just one of the charts from the dashboard area where you can see at a glance what the lifestyle’s going to cost you… and whether you can afford it. The application is available in two versions; the Standard version, which is free to you as a site subscriber, and Narrowbudget Gold. Narrowbudget Gold is a complete solution to the problem is pinning down narrowboat costs. It allows you to save your data, create unlimited workbooks so that you can explore different scenarios, comes with a completed workbook of my own liveaboard expenses for 2012, and both guides that I’ve published to date; Living on a Narrowboat: The REAL Cost of a Life Afloat and Living on a Narrowboat: 21 Liveaboard Case Studies. Narrowbudget Gold is priced at £19.95 but if you’ve already purchased one or both of the guides, you’ll pay a reduced price. You can find out more about both versions here. 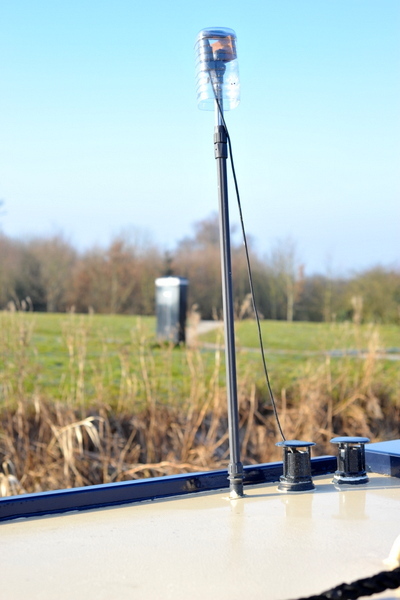 If you read and enjoyed Tim Davis’s excellent articles on solar power and narrowboat electrics, you’ll love his latest explanation of narrowboat heating systems. Narrowboat heating can be very confusing. Some boaters will tell you that all you need to keep you toasty in the depths of a harsh winter is a solid fuel stove. There’s much more to it than that though. Tim has thoughfully and thoroughly explained all the options from multi fuel stoves to sophisticated central heating systems, and what you need to do to ensure that you have a constant stream of piping hot water for that all important shower after a cold day’s cruising. 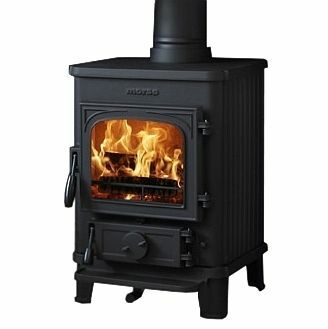 Here’s part one and all you need to know about narrowboat stoves. The last guide I wrote was all about my experiences on my own narrowboat and the costs I incurred. This one will give you a wider view of the experiences of narrowboat owners who live on board. There are actually twenty three case studies. I realised I had added two too many fairly early on but decided to keep the additional case studies in the book to give you a little more information. I won’t wax lyrical about the guide here. I’ve written about the book and everything it contains on the site. You can read about it here. I believe that it will give you a much clearer picture of what life on a narowboat is really like and will help you choose the best boat and configuration to suit your needs. In order to effectively manage access to the two guides I’ve published and the Narrowbudget narrowboat budget calculator, I’ve installed a new piece of software on the site. It won’t make any difference to your enjoyment of the site, but you need to how to log in to the new areas. I will start to add subscribers to the new system tomorrow. There are over 6,500 now so the process will take me a few days. You will know when you’ve been added to the new system because you wil receive an email from me with your login details, and you will then receive a series of daily emails. If you don’t want to receive these information packed emails from me, you can turn them off through the “Manage your subscription” link at the bottom of each email. Please note though that if you turn off the daily emails, you will also stop receiving newsletters from me. If you want to remain on the newsletter mailing list, just delete the daily emails if there’s nothing of interest to you in them. You will receive the login details for the above with your first email from the new system. Your login details will be the email address you used when you registered for the site, and a password, automatically generated when you registered, that you will be able to change through the “Manage your subscription” link. Please note that if you have been a site subscriber for some time, these details may not log you in to the forum. This is an issue that’s been driving me mad for weeks. I haven’t resolved it yet, but there is a way around if for regular forum posters. You can use your old login details to access the forum if the new details don’t automatically log you in. I apologise for the confusion. I’m sure I’ll have the issue sorted out soon but please bear with me until I do. Here are some more forum posts for you. 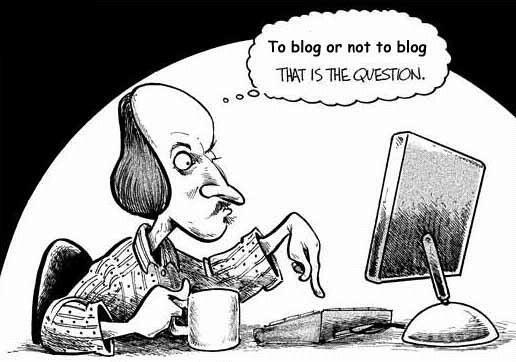 If you can’t find an answer to your narrowboat questions on the site or in the forum, please post it on the forum. It’s easy to do. All you have to do is to make sure that you’re logged in before you post. There’s no such thing as a silly question, so go ahead and ask. If you’re wondering why you are receiving this newsletter it’s because you subscribed to my site (Living On A Narrowboat). I hope that the information I send you from time to time is useful. After all, the site is all about narrowboats and you probably found the site from doing a narrowboat related search through a search engine. However, I don’t want you to receive emails that you really have no interest in. I know from personal experience how annoying they can be. If you really don’t want to receive information about living on a narrowboat and updates on the on-line, offline and marina moorings in England and Wales you can unsubscribe using the link at the bottom of this email. I hope you stay. I sincerely hope you find the information useful. 8th January 2013 If you’re thinking of buying a narrowboat, especially one to live on, you need to know how much the boat is likely to cost you to buy and to maintain. This useful guide details all the costs I’ve incurred during the two and a half years that I’ve lived on my own narrowboat. You’ll discover the hidden costs when you buy a narrowboat, mooring fees, utility costs, propulsion fuel costs, repair and maintenance expenses and much, much more. Download your copy here. My last newsletter was sent out on Christmas Eve at a time when you should have had something better to do than read a newsletter about narrowboats. Many of you did though, so thank you. I nearly sent you another newsletter on New Year’s eve. I thought better of it. I know you were all out partying. Personally, I don’t like crowds so Sally and I stayed on the boat and had a special meal; Maine lobster, Alaskan wild salmon and a bottle of Wolf Blass. It was the perfect evening for us. The first week of the new year has flown by. It’s been a very mild start to 2013. I’ve even considered letting the stove go out once or twice. There’s some slightly cooler weather forecast for later on in the week but the winter so far has been a doddle. Long may it continue! I’ve talked about it before. You may even be one of the beta testers of the original version, a very sophisticated Excel spreadheet. It did just about everything you could ask a spreadsheet to do… apart from work for almost half of the people who tested it. The spreadsheet didn’t work if the user had a version of Excel earlier than the 2007 release. It also didn’t work for Mac users. It was virtually useless. The trial was a disaster but it was also a stepping stone to the current version. I decided to translate the spreadsheet into an application that would work directly from the site so that site visitors would be able to use it regardlress of software or platform. Software architect and site subscriber Phil Copper has put the application together and, I have to say, he was a real pleasure to work with. The application works perfectly. It’s fast and has far more bells and whistles than the original spreadsheet. It’s a truly comprehensive solution to the problem that many potential narrowboat owners have trying to establish exactly how much boat ownership is going to cost them. Last week’s newsletter included the first part of an excellent article about narrowboat electrics written by full time liveaboard and solar panel installer Tim Davis. I’ve now published the second and concluding part of his article. He talks about generators and invertors and what he considers the Holy Grail of onboard electrical systems. Tim is also thinking about writing further articles for the site. If you’ve enjoyed reading the two he’s written so far there’s an option for you to suggest which of several subjects he addresses next. Katya, a film producer from the Guardian has posted on the forum. She’s looking for a budding film start for a documentary she’s making about buying a first/new home and wants to explore differing lifestyles. You can read her post here. NB Xanadu – Mike is a kindred spirit. He moved onto his boat after his marriage failed although his first floating home was far more of a challenge than mine… a 27ft GRP cruiser. His current 50? widebeam must feel SO spacious after that! I want the site to be a comprehensive guide to anyone who is thinking about living on a narrowboat. I’m sure that there’s plenty of stuff missing, so I need your help. In general terms, what do you think is missing from the site? What would you like to see more of? What would you like to see less of. And, specifically, what can’t you find the answer to? Is there a specific question about life on board that you need answering? I’m not talking about specific technical aspects that will be of use to you, but of no interest to other readers but subjects that will be of use and of interest to the majority of visitors to the site. Please help by completing this very short survey. You don’t have to leave your details so you can say what you like. Living On A Narrowboat News 24th December 2012 If you’re thinking of buying a narrowboat, especially one to live on, you need to know how much the boat is likely to cost you to buy and to maintain. This useful guide details all the costs I’ve incurred during the two and a half years that I’ve lived on my own narrowboat. You’ll discover the hidden costs when you buy a narrowboat, mooring fees, utility costs, propulsion fuel costs, repair and maintenance expenses and much, much more. Download your copy here. I know you’re busy getting ready for the big day tomorrow so I won’t keep you long. I just wanted to wish you a very merry Christmas and a happy New Year. If your goals include buying a narrowboat or just to get out more on the one you own already, I hope you achieve all that you set out to do. Last week’s newsletter included the first part of an excellent article about narrowboat electrics written by full time liveaboard and solar panel installer Tim Davis. I’ve now published the second and concluding part of his article. He talks about generators and invertors and what he considers the Holy Grail of onboard electrical systems. Tim is also thinking about writing further articles for the site. If you’ve enjoyed reading the two he’s written so far there’s an option for you tosuggest which of several subjects he addresses next. I know exactly how much utilities cost me on the boat, but I’ve lost touch with the cost of water, heating and electricity in a bricks and mortar home. I’ve spoken to Sally about the difference between maintaining a house and maintaining a boat. She still has a house which she now rents out and she has kept her utility bills from the last year or so. I’ve found the costs very interesting but I would like some additional information from other house owners too so that I can compare the costs for an aticle I’m writing. Are you able to help me? If you own a bricks and mortar home, and you keep records of your utility paypemts, would you mind sharing them with me? All I need to know are typical monthly water, electricity, gas or diesel costs in the winter and in the summer and the size of the property. This information will help site visitors determine whether a life on the waterways is something they can afford. Many wannabe narrowboat owners think that narrowboat ownership is a very low cost alternative to a home on dry land. Hard facts will allow them to determine the true difference. If you can help, and I really hope you can, please email me with your details. This is a shameless plug for my guide Living on a Narrowboat: The REAL Cost Of A Life Afloat. Of course, I earn a few pennies from the sale of the guide which helps with the running costs of the site, but it’s not just that. You’ve sibscribed to the site and this newsletter because you want to find out more about living on a narrowboat, possibly with a view to living on a narrowboat yourself. You need to find out all the costs involved before you commit to the purchase of a very expensive boat and the running costs that go with it. The guide will tell you all of the costs you’re likely to face. I ask everyone who buys the PDF version of the guide (Amazon doesn’t share purchase information from Kindle sales) for constructive feedback, both good and bad. I’ve only received one negative comment to date and that was from a guy who said that he didn’t feel that he’d learned much from the guide, but that was probably because he’d been living on a narrowboat for the last six years! “Hi Paul, Firstly, I found it very useful and although I had already put together a spreadsheet of my own to try and establish likely costs of owning and running a narrowboat, that one day I hope to own, it certainly either filled in some of the blanks or made me aware of expenditure I had not thought of. As computer/internet literate as I am, I would very much like a hard copy of the Guide that I could easily reach for as a reference or memory jogger. Printing off the pdf version wouldn’t quite be the same somehow. I suspect however, that this would dramatically increase the cost of the guide? that it concludes with a summary and a breakdown of the annual costs. The guide on it’s own is a great way for you to determine whether you can afford to buy and maintain your dream boat, but shorly you’ll be able to plug the costs detailed in the guide directly into the new narrowboat budget calculator on the site. It’s nearly ready for release, it will be free for you to use and I know you’re going to love it. You’ll be able to enter every cost you’re likely to incur including those that aren’t directly boat related such as food and drink, medical expenses, clothing and entertainment and pretty much anything else you can think of. And if you do think of an expense that you’d like to include that isn’t already there, you can add your own category. It’s a very powerful tool… especially when the guide is used for reference. Make sure that you understand all the cost you’ll face afloat and download your copy of the guide here. 06/11/2012 – Narrowboat Budgeting Software – Would you like a copy? 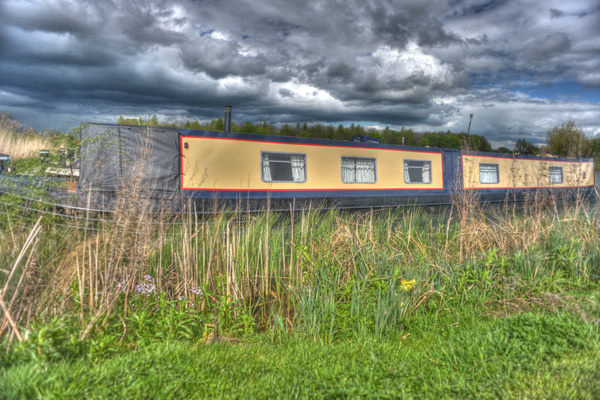 27/07/2012 – The Rolls Royce Of Narrowboats: Can YOU Afford One? 02/02/2011 – How much does it REALLY cost to live on a narrowboat? Living On A Narrowboat News 18th December 2012 Christmas is drawing ever closer. We have a few holly bushes around the site but sadly none of them are bearing berries as yet. Maybe that’s a good sign. Abundant berries on trees and bushes is supposed to be a sign of a hard winter to come. A berry free holly bush would be a small price to pay for a milder winter.Over the last two weeks we’ve seen a thin crust of ice on the marina on three occasions and this winter’s lowest temperature – minus seven. I’ve taken one of our hire boats that hasn’t yet been blacked for a spin around both marinas to keep the main channels clear so that any boaters with full toilet tanks can cruise to the Locks marina pump out station. Those who spend any length of time on board are watching the weather carefully to make sure that they don’t get stuck on the mooring as they have on previous years when the marina ice has been too thick to break.This week we’re back to mild, wet and windy and very soggy underfoot. It’s a time of the year that I dislike for many reasons; the leaves are off the trees, I have to wear wellies for work every day because of the mud underfoot and because oft he same mud, Charlie and Daisy, our two spaniels, need a little more management. Because the boat is on a wooden pier, they don’t come onto the boat straight from the muddy ground but there’s still enough muck on their feet to warrant a quick wipe with a towel before they come onto the boat. It’s a bit of a pain but one of the necessary evils of narrowboat dog ownership. 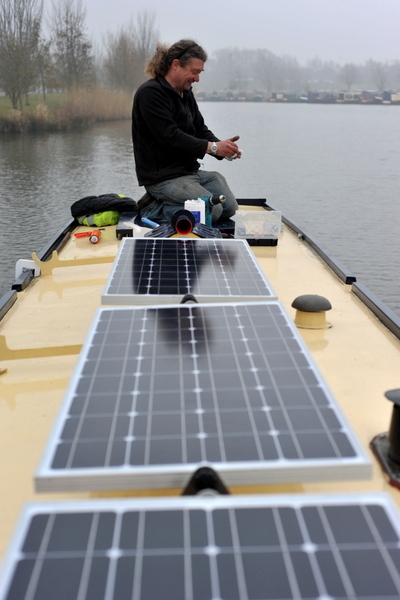 Tim Davis wrote an excellet article for the site about narrowboat solar power. He knows a huge amount about solar power and electrical systems on board. Tim has written another excellent article for the site. This time he’s explained everything you ever need to know about your boat’s onboard electrics from battery maintenance and how to minimise the power you use on board to inverters and generators. Even if you’re not technically minded, this is a subject you need to understand. The first part of Tim’s article is about batteries and how to maintain them. Battery care and maintenance is quick and easy to understand. Regular maintenance will prolong your batteries’ life. With modern narrowboat using as many as seven or eight batteries and at a cost for some of well over £100 each you need to do all that you can to ensure that they work correctly for as long as possible. If you only read one article on the site, make sure it’s this one. Narrowboat satellite system installer Martin Hicks emailed me to ask if I would be interested in letting you know about satellite television for narrowboats. 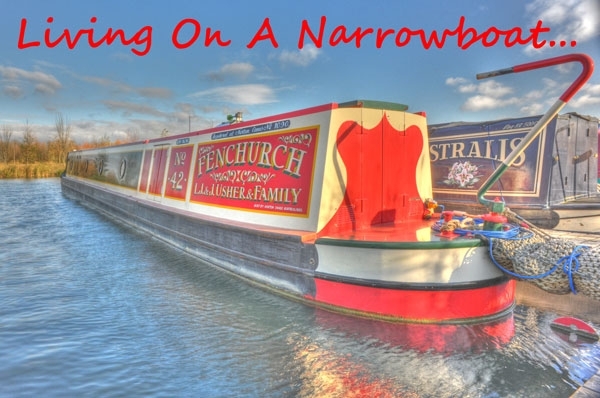 In the spirit of providing you with as much information as possible about all aspects of narrowboats and what goes into them, I have created a post with his information. Please note that this is not an endorsement of satellite television systems in general or Martin’s in particular. I know nothing about satellite systems and whether they work on narrowboats. There is a link at the bottom of the post to take you to the forum where you can add any comments you’d like to make.